The other day, I was walking with the kids and Baby Girl was wearing the new sparkly sandals that Grandma J had just bought her and she was walking on tip toes. I asked her what she was doing and she said, “I’m pretending I have high heels on!” LOL!! 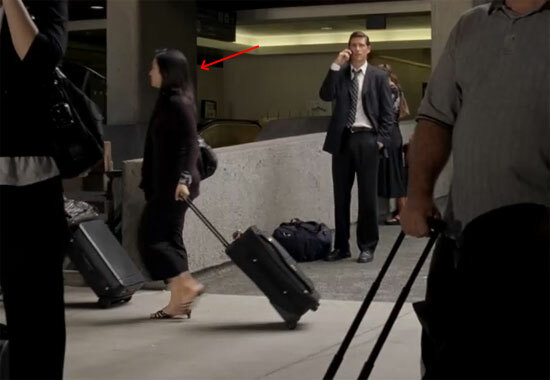 I saw myself on LOST last night again! Woohoo! The picture is at the end of this post. For now let’s get on to my lovey dovey bear. I can’t remember where I saw eyes like these, but I was doing something when I saw a cute character with hearts for pupils. 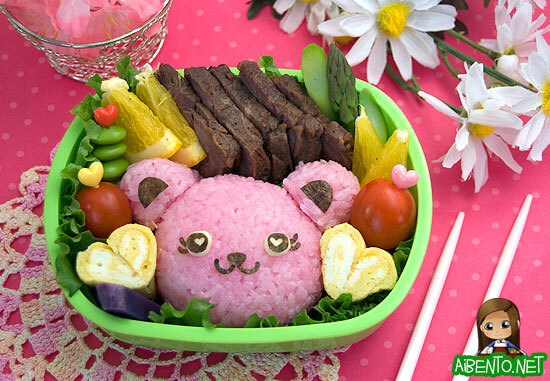 That helped me with the idea for this bento with a cute pink bear with love in her eyes. I cooked the rice and then mixed it up with ume vinegar powder, which is called hanaosushi no moto on the back of the packet. This is sold at Marukai, they usually hang packets of it from those metal poles in various aisles. Mixing it in gave it a nice pink color and a wonderful ume smell. I’ve always wondered how the Japanese obento get their onigiri to look so smooth and I now know that it’s because they do it with fresh, hot rice and plastic wrap. I’ve never been able to get my onigiri so smooth on the outside with a mold or my hands no matter how hard I press, but using wrap to shape it seemed to make it all smush together. It was also easy as pie to make the little ears. To make the eyes, I started off by folding a piece of nori twice so that I had 2 creases, then I cut out a tiny half heart to make the center. 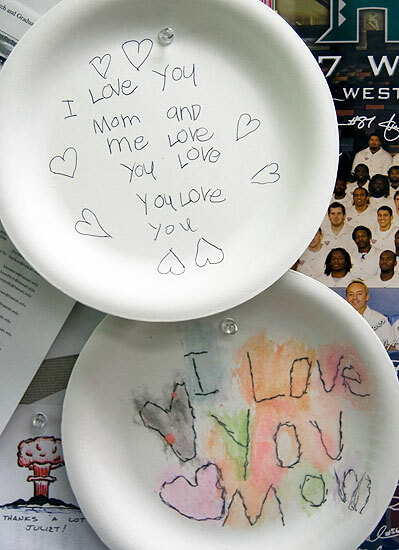 After that, I cut a big circle around it, then unfolded it so that I had the two circles with the hearts in the middle. I cut a smaller circle out of that then placed the eyes on white cheese and cut around them with a toothpick. The punch I used for the mouth, nose, and lashes can be found on From Japan with Love or if you live on Oahu, these are available at Marukai. The mouth is actually two of the little lashes laid on top of each other to make the curve longer. I hand cut the ears. The main dish is more steak from yesterday and on the side I have tomatoes, orange slices, asparagus, edamame, and heart tamagoyaki. To do the tamagoyaki I made a small roll with one egg, pressed it into a round rectangle shape, then cut it into fourths. Then I sliced off one corner and put them together to make the heart. While the hearts in the eyes is something that I saw somewhere, the idea is actually inspired by something Baby Girl did last night. I’ve got two more Docubentory photos, but I don’t think I’ve used either of these boxes yet, so I won’t link to the sets. The whole collection can be viewed here. This is one of my onigiri boxes and I have no idea how to use it. 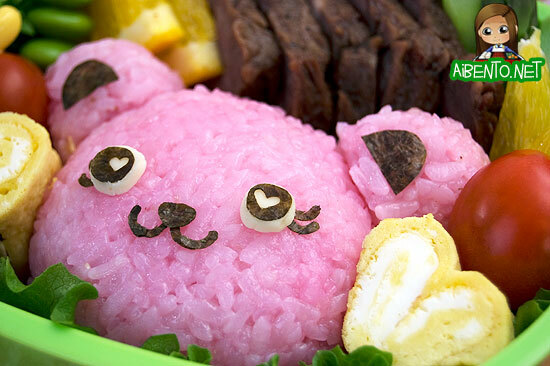 Are you supposed to just make an onigiri the size of Pluto and put it on top?? Someone explain this to me. 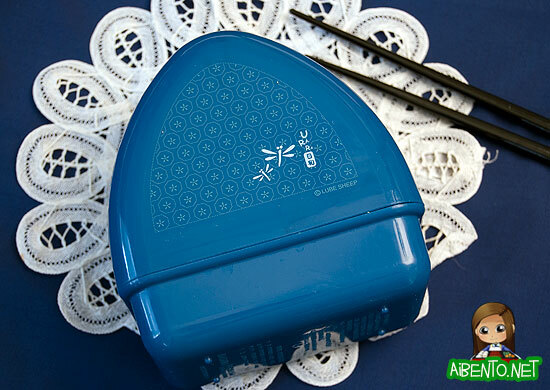 This is another onigiri box, but I just haven’t gotten around to using it. 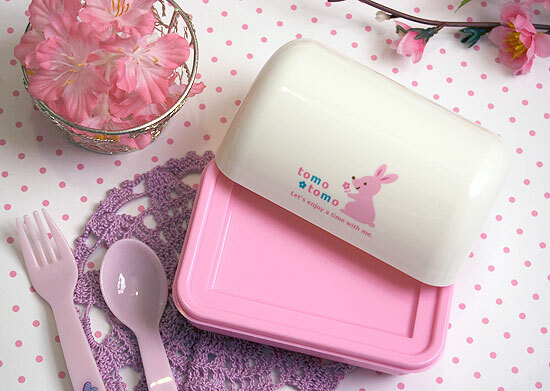 I’ll probably try using it on Baby Girl when she wants a plain lunch and just make her musubis with filling and then a fruit dessert on the bottom. Mr. Pikko threatened to start hiding my bento boxes in the trash can if I didn’t put them away, so I shoved half my unphotographed ones back into the cabinet. D: This is taking much longer than I thought it would!